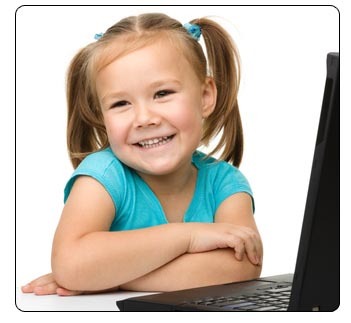 Understanding What Speech Homework Should be - Boston Speech Language Therapy in Brookline, MA 02445. Speech therapy homework may not be a good idea (especially at the beginning of therapy)... Surprised that I am saying this? Well, it’s true. There is a time and a place for appropriate practice, but quite often, speech therapy homework is over-assigned and counter-productive. Traditional homework is given to a student at school for a variety of reasons. It often serves as a follow-up assignment from a classroom lesson or may provide an opportunity to tackle a new type of problem or writing assignment at home. A child’s familiarity and proficiency with the material can vary. Speech therapy homework is different… Speech therapy homework should, by its nature, take on an entirely different form and purpose from traditional homework assignments. Understanding what speech therapy homework ‘should be’ will allow your child to maximize speech therapy benefits, accelerate progress, and minimize frustration. Properly assigned speech therapy homework is characterized by practice of previously mastered skills; it serves to reinforce skills developed within speech therapy sessions. The purpose of speech therapy homework is to strengthen skills, to develop greater automaticity, and to maintain proficiency of mastered abilities. Unlike traditional homework your child may receive, speech therapy homework is not meant to develop new skills or for a parent to become the therapist through experimentation in best techniques for developing placement of the articulators (lips, teeth, tongue, etc.). Your child’s speech-language pathologist is the one, who within weekly scheduled appointments, establishes new motor plans or adjusts existing ones so that new speech production patterns can be established or changed. Then, it’s through regular, consistent opportunities for accurate productions, that your speech-language pathologist will make measurable change in your child’s speech patterns. Regular therapy will systematically move speech production proficiency from easier skills to more challenging ones, by building on the previous one. Customarily, speech therapy moves from the word level across word positions through spontaneous use at a conversational level (words starting with a target sound; words with the target sound in the middle position; words with the target sound at the end of the word; sentences with the target words embedded; conversational exchanges with the target words used). Once skills are mastered, meaning that your child can demonstrate high levels of accuracy (90-100%), over time (2-3 sessions consecutively), home practice—homework-- is appropriate. This may take time. When I finally do assign homework, I already have great confidence in a child’s ability to produce a sound at the prescribed level-- the word level, sentence level, conversational level, and the homework assigned simply provides additional opportunities to reinforce these patterns at home. The practice allows for this newly learned behavior to be repeated. At this point, because consistency in accurate production is established, I can easily share with parents the type of cues or supports that have been helpful and how best to respond to errors. The parent’s participation in the homework is more the role of a coach or cheerleader than the teacher as the child does what he or she already knows how to do. This is what speech therapy homework should look like. - Facilitated by a parent with guidance from the SLP for how cues or prompts are used production. When a “trial and error” approach is used, one where the child is experimenting with accurate productions and is inaccurate just as often as he or she is accurate, or the parents are tasked with having to establish cues to help their child by themselves, the benefits of the homework are often lost. When a child is not yet accurate in executing new sounds and doesn’t know how to do them, homework is not very appropriate. Poorly executed speech therapy homework commonly leads to one of two things: little to no change in speech production abilities or regression. Speech therapy homework, where inaccurate positioning is reinforced, is counter-productive. This gives the child additional opportunities for practicing the old, wrong, motor plan, which can increase its use. If the child spends more time practicing wrong patterns instead of the right ones, it ultimately works against your efforts. Moral of the story: homework is good when implemented correctly.